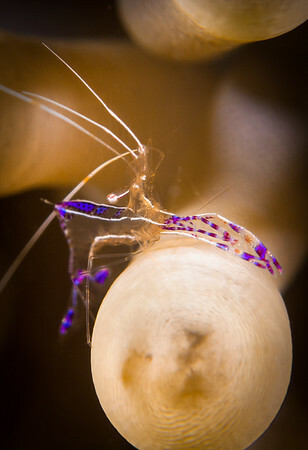 Pederson cleaner shrimp holds on to the tentacle of a giant anemone, waiting for clients to come by for a cleaning. Some of these shrimp will actually clean divers' hands too! Yellow Sub House Reef, Bonaire.